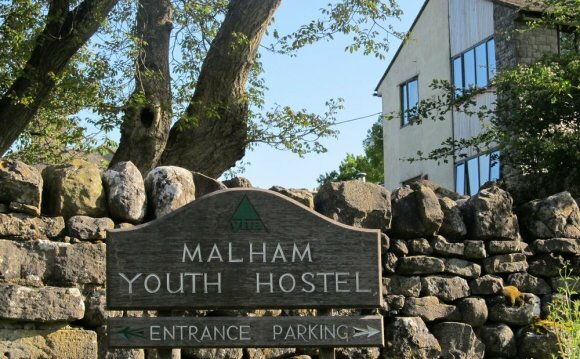 The idyllic grade II listed Millgate B&B in North Yorkshire, where rooms start at just £38 per person per night, scooped top place in the World's Top 10 B&Bs category. It has received more than 350 excellent reviews on TripAdvisor, with one reviewer describing it as the 'best B&B we have ever been to'. The lowest rating the B&B received was by a sole traveller who described it as 'average', three said it was 'very good', while no one rated it as 'poor' or 'terrible'. The other 355 reviewers all rated the guesthouse as 'excellent'. Sue Burrell, who owns Millgate B&B with her husband Andrew, said: 'We're thrilled to be named the number one B&B in the world. A recent TripAdvisor traveller review about the guesthouse said: 'Wonderful owners who couldn't help us enough, fresh scones on arrival, beautifully decorated, the breakfast was delicious (especially the specials! ), perfect location, wonderful experience!! Guests staying in the B&B's three bedrooms have praised the warm welcome extended to them by the Burrells, and special touches such as the chocolates on the pillows, flowers in the bedrooms 'outstanding' cooked breakfasts and freshly-baked scones. Visitors also enjoy fresh milk in their rooms, flat screen televisions and free internet access, as well as the B&B's picturesque location in the centre of the historic market town. The UK is also home to the second best B&B in the world - Shola Coach House in Portrush, County Antrim, Northern Ireland - and boasts a total of ten of the world's 25 best accommodation finds - more than any other destinations. All of the 187 visitors to Shola Coach House, which is just a short drive from the Giant's Causeway and the Royal Portrush Golf Club, who reviewed the B&B on tripadvisor gave it an 'excellent' rating, and hailed the traditional Irish breakfasts, comfortable rooms and being welcomed in by owners Sharon and David Schindler with tea and cake. Elsewhere, Lawton Court Hotel in North Wales bagged first place in the World's Top 10 Bargain Hotels category, with reviews praising everything from the owners and the staff to the food and its seafront location views. It also received second place in the World's Top 10 Small Hotels category and came fourth in the world for service. The hotel, which provides rooms from £74 per person per night, was opened last year and is run by Scott and Hannah Lawton-Jones. 'What a great end to an already fantastic first year as owners of Lawton Court Hotel, ' the couple said. 'To be recognised by TripAdvisor as a 2015 Travellers' Choice Hotels award-winner across three different categories really is the icing on the cake. Just back from a weekend at Lawton Court after attending a friends wedding. We could not have asked for more. The owners went above and beyond making sure all our needs we're met to ensure we had a great stay. Great location on the sea front with stunning views with the ability to park our car for free throughout our entire 2-night stay was an added bonus. Rooms were spotless and well equipped, breakfast was superb using all local produce. All the staff were friendly and attentive and the owners made us feel nothing was to much trouble. Just spent two nights here and I have to say it was as others have said a great stay. My room was overlooking the sea and it was very comfortable, nicely decorated and with a modern, contemporary feel. Hannah and Scott were very welcoming and Scott can cook a tasty breakfast (great poached eggs!) They certainly know how to look after their guests! A recent guest said she 'could not have asked for more' when she reviewed her stay at Lawton Court Hotel. She added: 'The owners went above and beyond making sure all our needs were met to ensure we had a great stay. 'Great location on the seafront with stunning views, rooms were spotless and well-equipped and breakfast was superb using all local produce.